Hitting over hazards in golf can be a real problem. A golfer might check the wind and the slopes and plan their stroke, but like a throbbing pain or a mosquito buzzing past your ear, certain obstacles can be a real pain. How can you make sure you overcome these hazards every time? You’ve performed to your optimum all day and it’s your moment to shine, but your mind is clouding over. The hazards are flashing like emergency signs on the highway. A golf swing is at its best when it’s natural and relaxed because a clearer mind gives a cleaner connection. Sometimes the real obstacle is not on the course but in your mind. Why is it that when we see open fairway, we feel calm? Our minds are uncluttered and it couldn’t be a simpler game, yet when obstacles appear, we are filled with dread. Our back stiffens, the pulse quickens, dry hands become clammy and our grip tightens on the club, but we don’t feel in control of the shot. Does this sound familiar? We’ve probably all stormed off from a shot, a hole or even a round, vowing that we’ll never play again. This is par for the course – but it doesn’t need to be like this. Hazards are built to trip us up and complicate our journey from tee to green. If we just wanted to smack the ball, we’d go to the driving range. If it was just about the glory, we could sink the ball all day on putting greens. We crave the challenge, we play golf to be tested and we embrace this most rigorous examination. Sport is all the mind – especially individual sports. Time on a golf course is mostly walking and waiting, and it’s a relatively short period where you need total focus and can’t allow outside distractions in. Your mind must be there in the moment, present and totally determined to nail the next shot. You don’t need to let small issues derail your progress on the course. You can be the golfer that excels at hazard-filled holes; the one who finds solutions not problems. So hit it right and the hazards aren’t mere decorations. 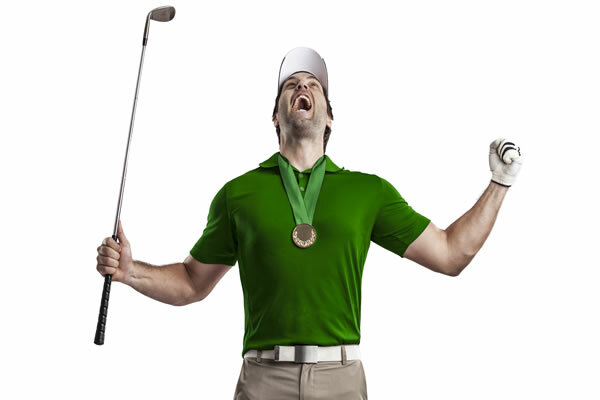 The ‘Hitting Over Hazards in Golf’ hypnotherapy session will train your instincts to relax, ignore all obstacles in your way and keep you in the zone every time. Hitting over hazards in golf is why we play, and while you can’t change your course, you can change your perceptions and thought processes. *Our sessions were no doubt instrumental in my win! Just wanted to let you know that after our sessions i managed to win a major event at my golf club. The event was a knockout format conducted over 6 weeks or so. Our sessions were no doubt instrumental in my win. The level of calmness i was able to maintain even when my opponents got on a bit of a roll was certainly a positive. So, all in all i great result! Thanks. Want to Remove Stress Hazards Have on Your Game? And give it your best shot at learning to love golf’s challenges again!